It's time to take a close-up look at my favorite tops that are so must-have for the upcoming 2017! In this post I gathered tremendous Polyvore fashion sets you can recreate with ease. Believe me, all the showcased looks can be copied by any lady regardless of her height and body shape. The following outfits will show you how you can combine different tops and style them with cute shorts, skirts, pants and jeans. You gonna see beachwear inspired combos, smart-casual essentials, comfy weekends looks, etc. As you can see, there are many chic combos that can make you look and feel special. Anyway, scroll down your mouse and share your thoughts in the comments below. 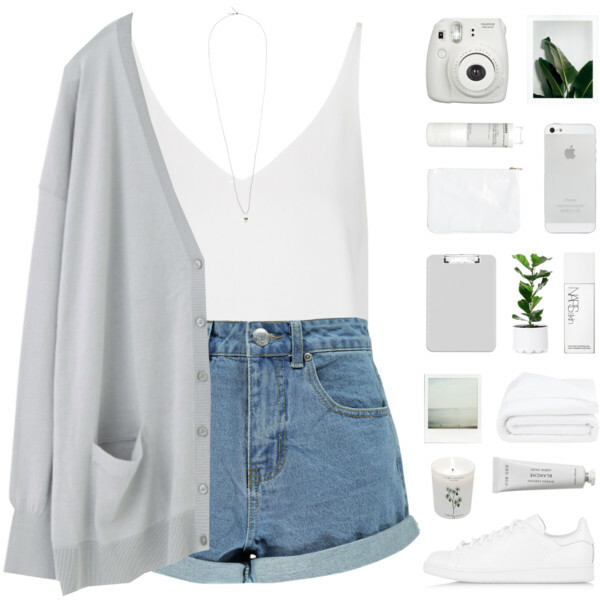 A lovely tank top in white color can be tucked in cuffed denim shorts and layered under cream-grey slouchy cardigan. No matter if you are a bride or a guest, I've got hot trendy wedding looks you can try next 2018. Of course, wedding dress should be the focus of the wedding, but if you are a bridesmaid, then your dress should also be unique and harmonious. There are gorgeous creations in one color completed in creative designs, various length and details. You gonna see short-sleeve must-haves, one-shoulder frocks, strapless gowns, floral printed must-tries, lace creations, etc. Below are gathered fabulous outfit ideas to wear on your next special event. I am sure these looks can make you look both stylish and elegant. I've explored latest trends and now I am ready to show you some good ideas how to impress everyone at the wedding. Scroll down to find a style appropriate for your body type. A lovely bridal dress with spaghetti straps is simple and ideal for country style weddings. It's time to talk about weddings! In this Polyvore sets collection I decided to share with you wedding fashion trends you all can try next 2018. No matter if you are getting married soon, or your best friend is going to marry, there will always be awesome outfit ideas you can copy in order to look at your best! I gathered several bridal gowns, as well as stupendous guest outfits. Everything comes in classy and unique style that combines luxury and elegance. I tell you honestly, I was impressed to see so many fascinating designs, that's why I am very proud to share with you my favorite looks. Trust me, you can easily copy these ideas, all you need is to choose the one you really like and try it on the next wedding! That's a cute short wedding frock if you don't want to wear a maxi dress. After ceremony you can update this sleeveless frock with a tweed grey blazer. Complete this look by adding ankle-cuff golden pointed-toe pumps. Hi girls and ladies! This time we are going to discuss incredible wedding looks you can wear in the upcoming 2018 to impress everyone around. It's no secret, everyone wants to look fancy and individual during bridal event. I'd like to share with you interesting looks you can try on bridal showers, at formal ceremony, as well as during wedding celebration. 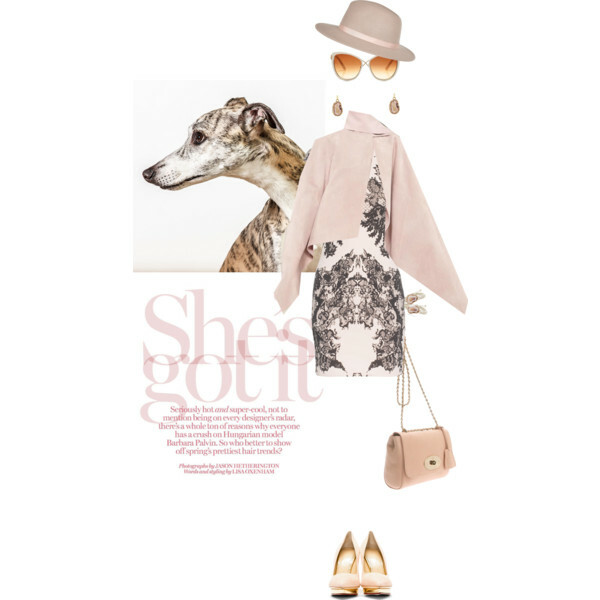 I am more than sure you will have a great opportunity to choose a stunning look from the following Polyvore sets. I gathered perfect examples of wedding gowns, bridesmaid frocks, seaside wedding looks, boho inspired bridal outfits, country inspired essentials, as well as Fall and Summer looks you can all get inspired by. A terrific white maxi gown embellished with lace and ruffled detailing. Complete it with strappy high-heeled shoes. There are known lots of awesome outfit ideas you all can try right now. In this post I decided to share with you cute tank tops you can wear next 2018. 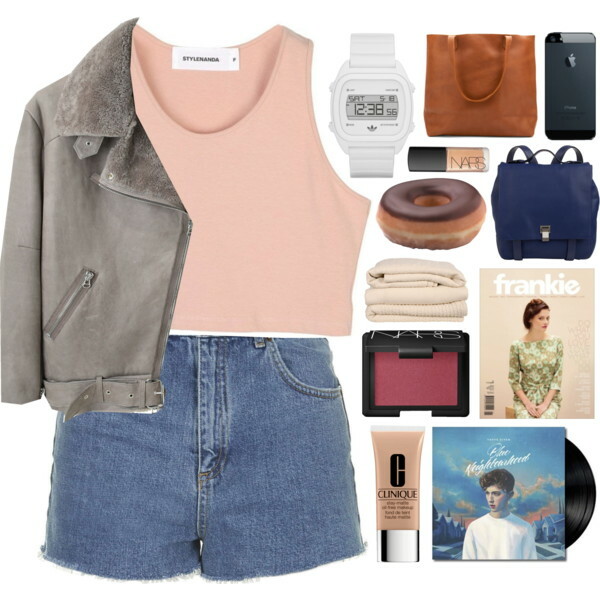 I am pretty sure the following Polyvore fashion sets will help you enjoy beautiful days! If you want to feel relaxed and wear something simple, quick and easy to style, then I am here to show you fashionable ways how to wear tank tops with your everyday basics. In this collection you will find tops for every event you need to attend. Don't be afraid to show a little more skin, I've got plenty of different types of tank tops you can pair with almost anything you've got in your closet. Scroll down to choose your favorites and let me know your thoughts in the comments below. That's a cute blush cropped tank top teamed with blue denim shorts and grey leather aviator jacket. Here we are! In this collection I decided to show you my favorite ways how to wear capes in 2018. Trust me, even casual outfits can look elegant, all you need is to update your wardrobe with a stylish cover-up. Cape is a perfect upgrade that ideally suits for an everyday wear. Most of the showcased looks are meant for chilly weather days, when everybody dreams of a perfect layered outfit. Trust me, cape is an ideal choice for days when you want to clothe yourself in layers and feel more warmly. I think cape is an ideal update for your chilly weather closet. It's fashionable and practical. All in all, in this post you can see my favorite Polyvore fashion sets you all can be inspired by. Read on to find out more. We see a blush cape worn atop abstract kaleidoscope print dress styled with blush pumps, matching color clutch bag and fedora hat. A vest is a chic addition that can be worn to compliment your outfit, or as a functional layering that will save you from Winter frosts. In today's blog post I want to show you my favorite vests for women you all can try next 2018. I decided to share inspirational Polyvore fashion sets you all can recreate next year. The sleeveless jacket can be one of the most popular pieces next season. Why? I have seen lots of new collection featuring various vests made of fur, crochet, cotton, leather, etc. This little addition allows for more mix and matching with your closet. Feel free to wear it with sweatshirts, turtlenecks, semi-sheer blouses, etc. You are free to create casual, elevated, smart-casual or office appropriate looks. Anyway, scroll down to see all my favorite combos. Crochet and fringed cream-white vest looks like a boho must-have! Try it on with simple grey tank top, washed blue denim shorts and strappy brown leather flat sandals. I think every woman's wardrobe needs functional jacket, am I right? I guess so! In today's blog post I want to draw your attention to my favorite jackets you can try next 2018! No matter what is the season outside, there should always be a place in your closet for several stylish jackets. This outerwear piece should not only be practical, but also stylish, as it's a base layer that is going to be seen by everyone. I decided to show you some of the best jacket types you all can give a try this year. I gathered Polyvore sets featuring bomber jackets, leather toppers, robe-coats, trenches, etc. It's nit so hard to create a perfect outfit completed with a trendy jacket, all you need is to take a look through these inspirational sets. What are you waiting for, get inspired! We see a fancy looking black bomber jacket embellished with golden stars print. Try it on with casual essentials, like simple white T-shirt, ripped light blue jeans, black lace-up slip-ons, black backpack and rounded black sunglasses. Don't get stuck in a style rut! Hello my dear fashion ladies, I am here today to share with you inspiring 2018 outfit ideas featuring our beloved jumper sweater. This functional top is a perfect choice for those women who want to feel warm and cozy, as well as trendy. I would definitely recommend you to wear jumpers with skinny jeans, but when I took a look at possible Polyvore sets, I understood there are plenty of stunning ways how to make this top work in your everyday life. You can style it with skirts, boyfriend jeans, leggings, shorts, dresses, etc. You just have to choose your favorite combo and try it on next week! A pale blue one looks pretty chic and girlish. Try it on with a pleated plaid short skirt and lace-up black slip-ons. I felt in love with these rounded sunglasses.